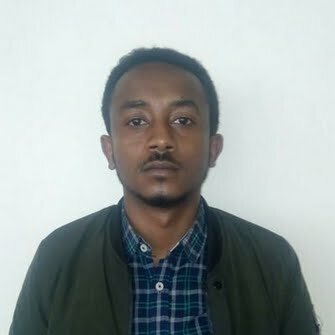 I am a writer and a journalist, residing in Addis Ababa. Despite being a non- native English speaker, I can fluently and proficiently communicate in English both verbally and in writing. I am currently working as Editor-in-Chief of the Ethiopian Business Review Magazine, the most circulated monthly in Ethiopia. I have been working in the media industry for the past three years. I am a creative person having a high command over technical and commercial writing, reading and typing skills. I can also manage digital and social media very well. I consider myself a great team player owing to my profession as a journalist and involved in various research activities including working as a quantitative researcher in projects of Girl Hub and Central Statistical Agency. Through my staying at university and professional life I have had the exposure to work under stressful environments and pressure, enabling me to improve my management and interpersonal skills. I possess expertise in editing, stylizing and proofreading in a timely manner. I can also add a fresh perspective to editing, and presentation of Newspapers as a whole. 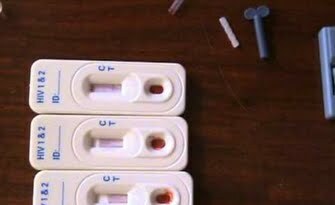 The Pharmaceutical Fund & Supply Agency (PFSA) procured an estimated five million HIV test kits worth 2.5 million dollars from Beijing Wanti Biological Enterprise, whose products were found to be below the standard in algorithm tests carried out by the Ethiopian Public Health Institute (EPHI) in August 2017. Local labour can replace two-thirds of non-nationals who are legally engaged in various lines of businesses in the country, a new study reveals. 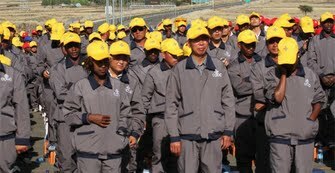 Commissioned by the Ministry of Labour & Social Affairs (MoLSA), the study was undertaken for over three months in Amhara, Oromia, Southern Nations & Nationalities and Tigray regional states as well as Addis Abeba with a cost of nearly half a million Birr. The primary rationale of the study was to measure the effectiveness of technology transfer in the country, where over 15,927 non-nationals are issued work permits every year. Tassew Woldehanna (Prof) has over three decades of experience in academic, research and consultancy services in the areas of child welfare, poverty and food security in Ethiopia and elsewhere. The 56 year old researcher has been involved in the national Poverty Analysis Report; a controversial study criticized for neglecting the facts on the ground. EBR’s Samson Berhane sat down with Tassew, on the sidelines of the seventh Tana Forum held in Bahir Dar last month, to get his take on the current economic and political situation in the country, and his work at AAU. Although optimism about the future of Eritrea was high in the 1990s, Eritrea now exists in isolation; the lives of ordinary Eritreans is tough and many cities remain underdeveloped. In fact, Eritreans now make up a significant portion of those migrating to Europe on dangerous crossings through Libya. Debt stress has always been a contentious matter in Ethiopia. As the country pursues billions of dollars worth of infrastructural development projects, external debt stock has been growing proportionally, now accounting for almost 30Pct of the GDP. While the risk to debt sustainability escalates, several challenges limit the prospects for bucking this trend. This includes the wide gap between investment and savings, and the underperformance of the export sector. With such factors in mind, the International Monetary Fund (IMF), changed the debt stress rating of Ethiopia from moderate to high recently, hinting that the chance of defaulting on loans is increasing. Although the government is able to take corrective measures such as refraining from taking commercial loans, experts say that is too late. As housing affordability in the capital becomes a hot issue, the twin problems of ‘asset bubbles’ and housing affordability have challenged the minds of policy-makers, experts and the general public. The demand for housing has kept increasing in urban areas like Addis Ababa, whereas the supply of land has remained unchanged, leading to inflated prices. This, in turn, diminishes the affordability of houses for residents. Worryingly, any low and average income earners are unable to construct or buy their own houses due to the skyrocketing lease prices. While experts attribute the problem to the law governing urban land distribution, the government remains firm in its position that there is no shortage.